Designer workspaces are an ever-popular source of inspiration. 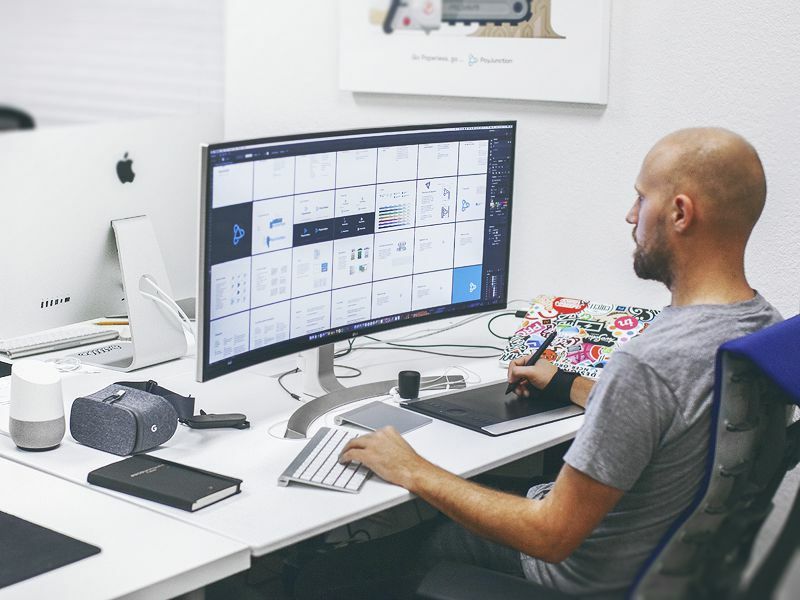 Creatives often enjoy looking at the computer and equipment a designer uses, their often-minimalist desk and furniture, or even the prints or art they have on their wall. There’s plenty to be inspired by and draw from when putting together or rearranging your own workspace setup. In this article, we’re going to round up a selection of the most beautiful and inspiring designer workspaces from the past year. 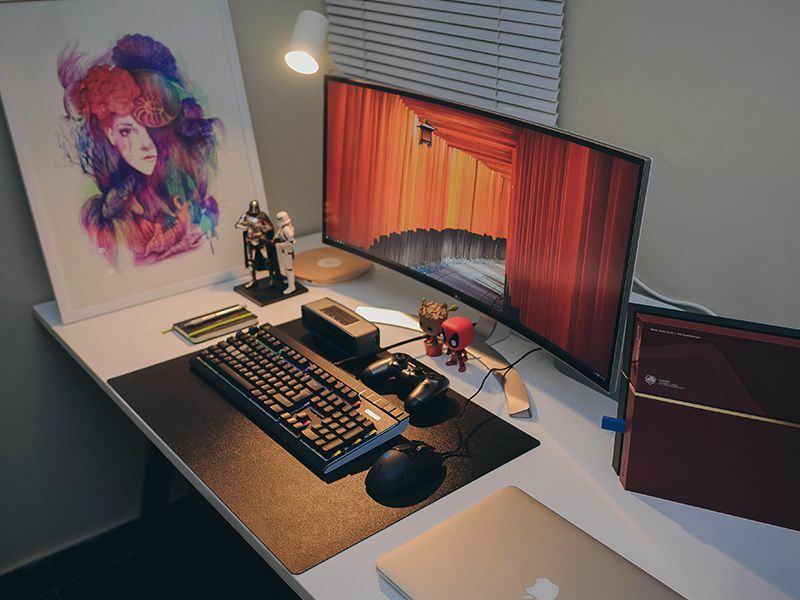 Beautifully spacious, this minimalist workspace combines the simplicity of Apple products and white furniture, with some creative chairs and a bright red bean bag. Eddie’s workspace shows off his wonderfully customized MacBook lid, covered with some beautiful stickers. He uses a Wacom tablet and curved widescreen monitor. 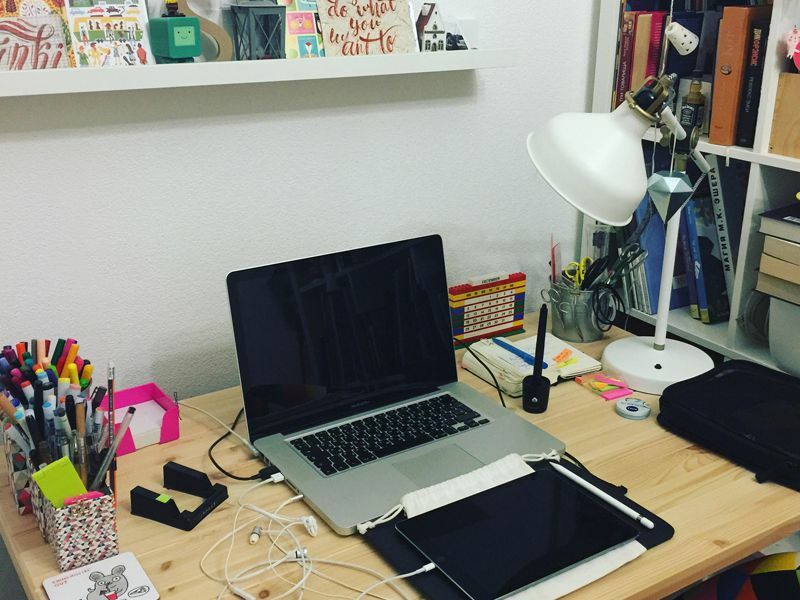 A little messy, but nonetheless inspiring, Svetlana’s workspace is filled with cards, prints, coloring pens and pen tablets. The iPad Pro is also used for illustration. This futuristic example is beautifully themed with purple throughout. The lighting is atmospheric and reminiscent of a gamer setup. This workspace includes a beautiful colorful print, action figures, and a limited PS4 games console. It’s simple but playful and offers a balance between minimalist and maximalist. Very minimal in its setup, this workspace uses an abundance of white, with a beautifully curved seat and fancy lighting, walls and an unorthodox pencil pot. Similarly minimalist, this setup uses a glossy white desk with a signed photo, simple clock, and small cactus plant. Using a wall-mounted monitor, this setup is extremely colorful against the teal wall behind. The desk looks high quality and has been carefully themed with lighting and items like the clock and lamp.